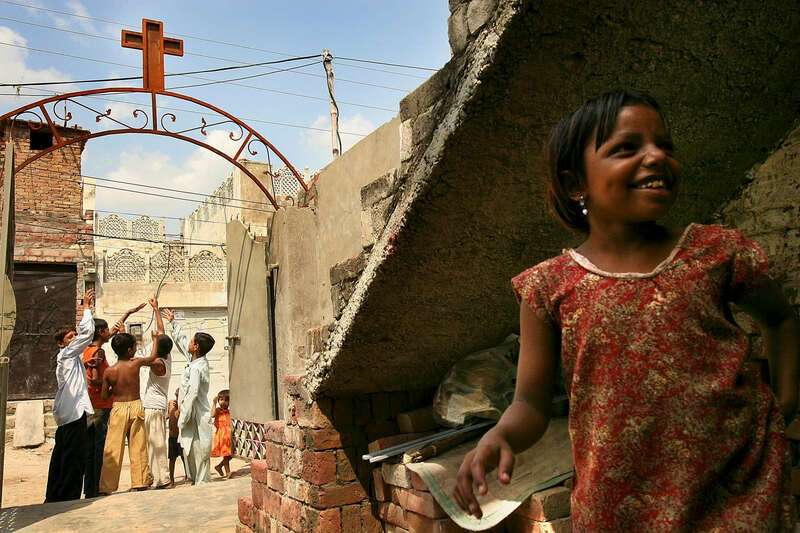 PROJECTS - DO NOT DELETE - SEE PAULA NELSON BEFORE RUNNING PHOTO - 8/26/2006 - Children play in the streets of Sheikhupura, Pakistan, a mixed Christian/Muslim community outside of Lahore. The Christians of Pakistan are generally very poor. "USAID funded faith-based aid abroad" - Pakistan - Dina Rudick/Globe Staff. Story by Susan Milligan/Globe Staff.